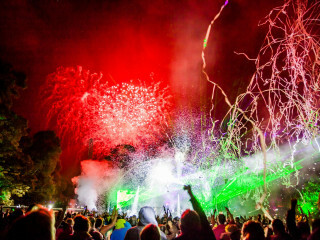 Kendal Calling is an award winning independent music festival situated in the beautiful Lake District. The festival brings together music lovers from all walks of life to enjoy four days of fun. Boasting a line up packed with some of the biggest artists around and introducing you to some up and coming new artists. The line-up has previously hosted headline acts including Elbow, Catfish And The Bottlemen, Kelis, The Levellers and De La Soul! With such an incredible selection there is sure to be something to suit every musical taste. 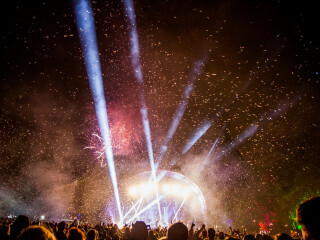 Kendal Calling offers a number of stages so whether you want to party at the main stage, dance in the Glow tent, or head to the comedy or cinema tents they’ve got it covered. A range of family friendly activities take place across the site and you can even get a massage in the Garden of Eden, a woodland filled with artwork and performance. A wide variety of camping options mean you’re always where you want to be. From camper van fields, private pitches in the Emperors Field or taking advantage of the prebooked yurts you are guaranteed to find somewhere nice to camp up after a great day of music! So why not begin what is bound to be an amazing weekend by booking your transport with Tuned In Travel? We will get you off to a great start with competitive prices, an easy booking process and a wide range of vehicles to accommodate you and your friends or a coach full of like-minded music lovers getting the fun going as soon as you set off. Travelling with the little ones? Try one of our private hire minibuses tailored to your individual needs and a sure fire way to travel stress free!